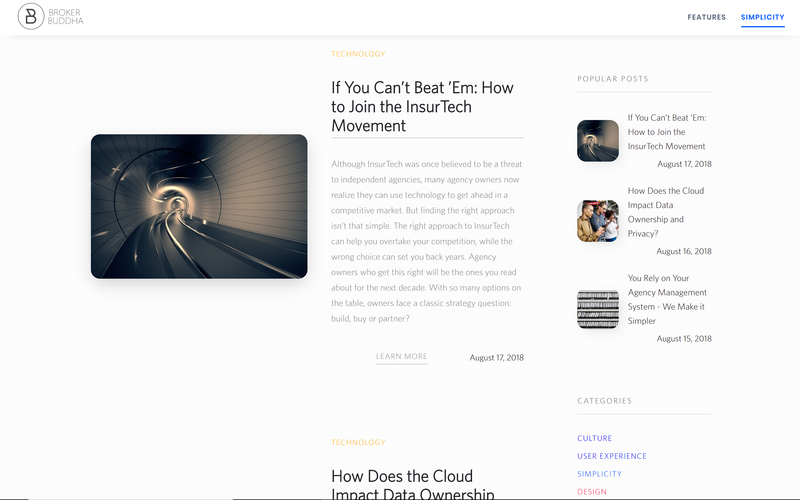 A successful ongoing content marketing campaign which generates constant leads, brand awareness and optimized search ranking for an innovative tech company in the insurance industry. 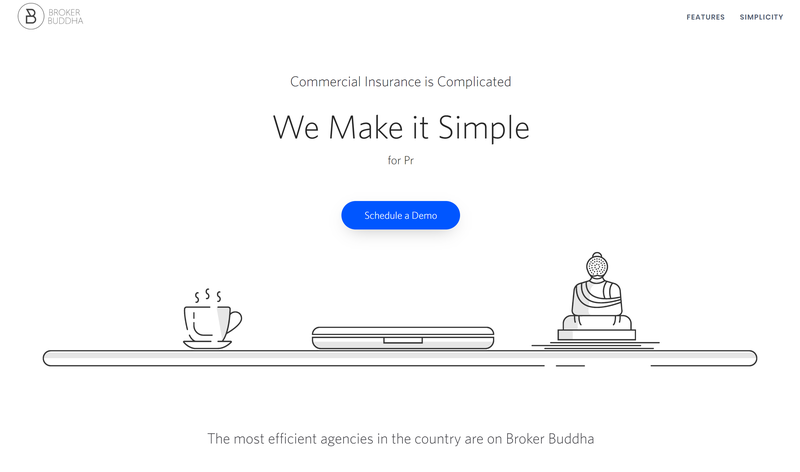 Firon performs ongoing, in-depth research on the Broker Buddha brand, its product and sales pitch as well as the frequently asked questions and interests of the audience and trends in the industry. We utilize all of this information and meet with Broker Buddha monthly to produce search optimized blog articles that evolve over time based on the performance of the past publications. Broker Buddha's Blog / CMS: "Simplicity"
Firon posts relative news, announcements and publishes blogs on Broker Buddha’s social media channels daily. Firon utilizes LinkedIn advertising to target and re-target Broker Buddha’s potential clients. We utilize the proprietary blog articles as the advert content to build up the social audience, generate traffic to the website and ultimately capture leads for Broker Buddha’s follow-up. Firon re-targets the same audience with direct lead forms. Firon achieved ROI positive results with this effort within its first 3 months. To optimize the conversion of visitors and page speed, and to improve the appearance and the content management system, Firon rebuilt the website utilizing Webflow (our preferred platform).